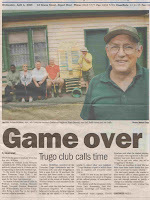 Footscray Trugo club, with the oldest Trugo clubhouse, will be shutting down after nearly 70 years of service to the elderly people of Footscray and the players of Trugo around Melbourne. Is this an April fools joke? No, sadly it is not. This historic building and grounds need a Trugo team! 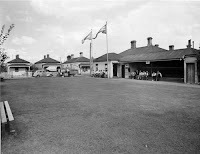 If you have a passion for history, maybe you can help preserve a piece of the past and field a Trugo Team for Footscray? R.I.P - Trugo was played here! This is such a loss to the community of Footscray. I hope the site does not get demolished by the council.